Is Lionsgate already planning a Twilight reboot? Say what you will about the Twilight film series — that they water down classic horror tropes; that they liberally espouse an unrealistic, archaic abstinence-first agenda; that only vampire strippers should wear that much body glitter; etcetera, etcetera — but you can’t deny that the four films released so far have pulled in seriously huge bags of cash for everyone involved. Thus, it should come as no surprise that, with the series drawing to a close after the upcoming Breaking Dawn Part 2, rumors are swirling that Lionsgate Entertainment is hard at work on ensuring that it can milk every lucrative drop from the overworked teats of its high-profile cash cow. By the five year anniversary, Lionsgate, who acquired Summit back in January for $412.5 million in cash and stock, will be in serious discussions regarding the future of the Stephenie Meyer vampire/werewolf franchise. Bloody Disgusting cites unnamed sources, and in an effort to dig deeper Deadline contacted Lionsgate for an official statement. 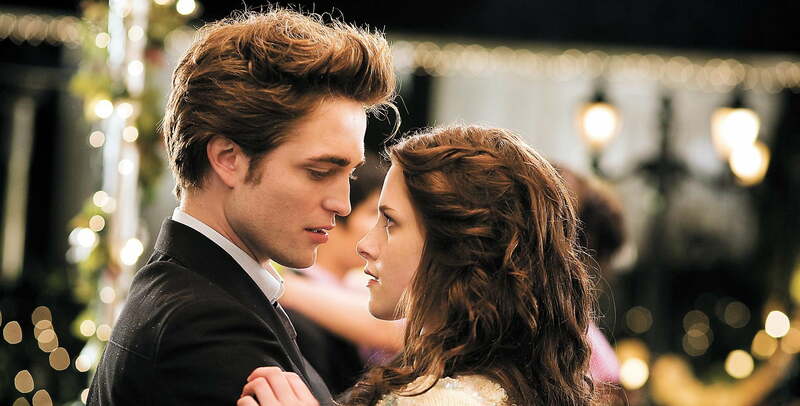 The firm issued a denial almost immediately — “We are not remaking Twilight. We will happily support Stephanie Meyer if she decides to proceed in any way. But this will be the last one unless that should change,” said Lionsgate’s Rob Friedman — but as Deadline points out, this is less a flat-out refusal of the idea, so much as an attempt to mitigate responsibility for whatever the company may decide to do in the future. “What this statement means is simply that the studio will do whatever Twilight Saga author Stephenie Meyer wants,” Deadline writes. While that article goes on to point out that this may very well mean a Twilight television series is in the works, Bloody Disgusting’s claim that Lionsgate would want to kickstart a new film series would be a far more lucrative proposition for the company. If such a thing were to occur, the rapid speed with which Lionsgate reboots the franchise would be anathema to most film fans, but as the current Twilight series has amply demonstrated, the people who turn out for those films are far less picky about their visual entertainment than, say, fans of French neo-noir. It seems unlikely that the reboot would be as lucrative as the original films, but new films would still likely pull in huge profits, and at this point it seems to be all about the cash. So, who do you believe? The Internet and its hyper-cynical dread that these movies are as likely to die as their sparkly protagonists, or Lionsgate, which stands to make hundreds of millions of dollars by running this entire thing into the ground repeatedly over the course of the next decade?